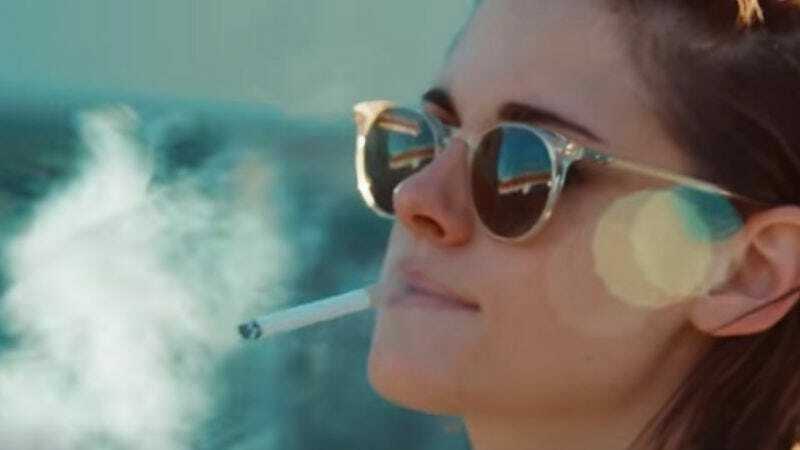 Kristen Stewart retains her status as the queen of giving absolutely no fucks in the best possible way in the video for The Rolling Stones’ song “Ride ‘Em On Down” off their new album Blue & Lonesome. Stewart picks up some supplies—including a blue lollipop for tongue-dying purposes—and goes on a joyride in a metallic car. She breaks traffic laws; she grooves out; she randomly encounters a zebra. Basically, she has a damn good time. Since her Twilight days, Stewart has successfully segued into the indie world, becoming one of the most respected actress of her generation. Off screen, she maintains a generally killer aesthetic, put to excellent use in the video directed by François Rousselet. The Stones’ latest—their first studio album since 2005—also debuted in full today.